Confluences consulting is comprised of six centers designed to help maximize your Cambodian investment with the help of subject matter experts and provision of our most trusted resources, ensuring the complete follow-up of your projects. Confluences’ incubator is not only intended for foreign companies in the startup process but also for local or regional organizations, looking to open an office in the Cambodian capital. It presents a 35 work-stations capacity and 3 different accommodation packages (different prices, work-station provision times). Confluences distribution provides European industrial equipment and solutions, assisting its clients from market entry to long-term sales strategy. 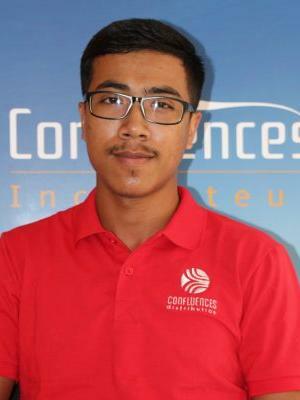 Founded in 2014 in Phnom Penh, Confluences is a company specializing in International Business Development in Cambodia and Southeast Asia. Within the context of global trade acceleration and ASEAN regional integration, Confluences is your ideal gateway to the Cambodian market and the neighboring countries. Our agency was created and is managed by bi-nationals entrepreneurs with a 15-year on-site. Through those years, we built a wide network of partners, experts, suppliers, distributors and high level connections, both within the private and public sector. Our dedicated team will provide you with a full portfolio of operational services to thoroughly support your project and business.